The Wave's intuitive and modern design ensures it is very simple to operate using either its inbuilt touchscreen or via the Wave app. Simply download the Wave app to a phone or tablet to take control of your heating system fr om anywhere in the world where an internet connection is available. Control your Worcester gas boiler from anywhere using the internet! 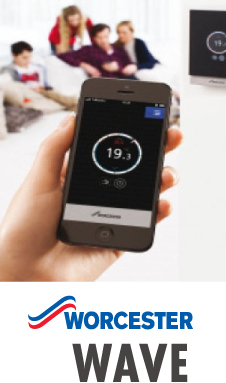 Heating controls allow you to set your heating and hot water to come on and off when you need it. 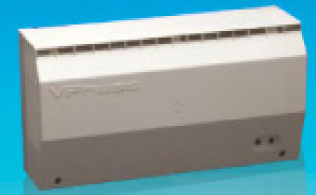 They also regulate the temperature of each room ensuring a comfortable environment. 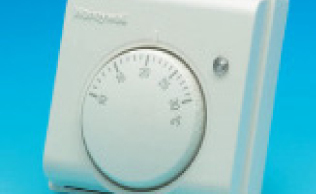 Heating controls are essential for any home regardless of the age of your system. 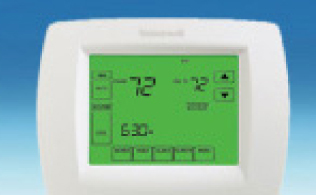 An appropriate set of heating controls make it easy to keep your home at a comfortable temperature. Effective Heating Control stops over heating of rooms and wasted energy, if your heating controls are over 12 years old then you could benefit from replacing them with new ones. It's quite simple to set a comfortable temperature throughout the house by fitting individual thermostatic valves to all your radiators, after all, why waste heating a room or area in your home that is rarely used. Being aware of your home's energy consumption enables you to regulate and review your energy usage, saving you money and reducing carbon emissions. You can reduce your home's electricity bills by reducing the incoming voltage via 'Voltage Optimisation'. 'Voltage Optimisation' is a simple device which can reduce your electrical consumption by approximately 10%. It enables you to view in real time the amount of energy being used, allows you to see, in real time, how switching off appliances can reduce your energy consumption. Fitting is a simple process and, installed by a professional electrician, you will be able to appreciate instant savings.